It seems that every year we get new vegan treats and more and more companies are offering cruelty-free sweets for Halloween, hurrah!! This is great for those of us that have a sweet tooth and want to enjoy vegan goodies around Halloween! And even if you aren't vegan, it is a good idea to hand out vegan treats since so many trick or treaters have allergies and I'm sure they would be stoked to receive treats they can actually enjoy! You might be asking yourself what makes candy not vegan? Candy isn't vegan if it contains animal products such as dairy (milk, butter, milkfat, etc. ), dairy-derivatives (like whey or casein), gelatin (ground up animal bones), carmine and confectioner’s glaze (made from bugs), eggs, and so on. If you could buy candy without all this nasty stuff, why wouldn't you?? When buying vegan candy you're not only helping yourself since it's healthier, but you're also not contributing to animal suffering or environmental destruction due to animal agriculture. Choosing vegan candy this Halloween benefits everyone! The good news is that vegan candy is easy to find - even some conventional candy brands are accidentally vegan. Plus there are a lot of smaller companies making delicious vegan sweets for Halloween, too. 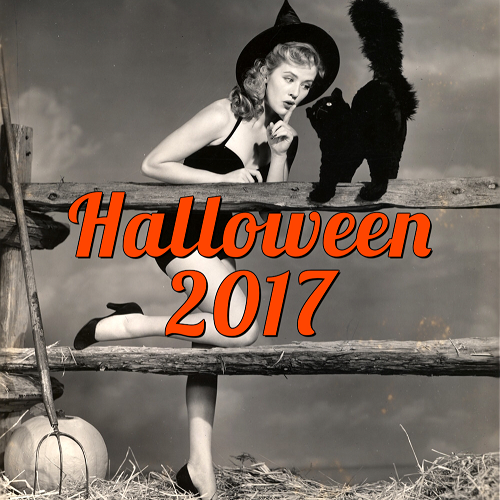 Below I've compiled a list of the 10 vegan Halloween candies and other treats you can hand out, serve at your party or horror movie night this Halloween! 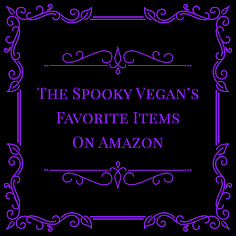 These vegan treats are so delicious and taste even better than much of the conventional big name candy, plus many of these are organic, non-GMO, and healthier than your standard Halloween candy (while still tasting awesome!)! 1.) 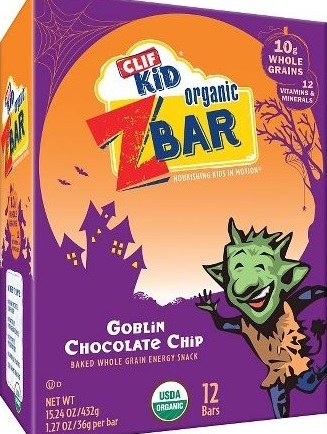 Clif Kid Halloween ZBars - They have a few of their popular ZBar flavors repackaged for Halloween and renamed to bars like Goblin Chocolate Chip and Full Moon Brownie. They sell them in large boxes at Target, and these two flavors are vegan. 2.) Yum Earth Organic Halloween Lollipops - Tasty and organic lollipops made from real fruit juice! They come in flavors like pomegranate, watermelon, strawberry, grape, cherry, peach, berry, and mango! I love these suckers, and your trick or treaters will too! This brand has also reformulated their gummy bears and worms so that they are now vegan, and they come in creepy-cute Halloween packs! 3.) 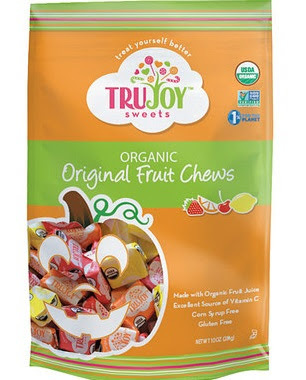 TruJoy Organic Fruit Chews - These are just like Starburst candy, only vegan and they actually taste like real fruit rather than artificial flavors. 4.) 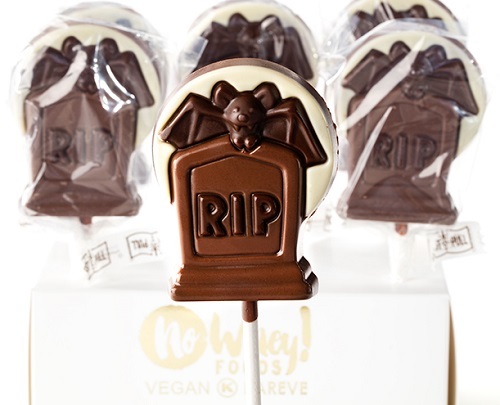 No Whey Chocolates - They make various Halloween-themed chocolates, but I love these RIP chocolate pops! They are a bit of a splurge, but so worth it if you are making special treat bags for select trick-or-treaters or just want to enjoy them yourself! 5.) Surf Sweets Treat Packs - Surf Sweets make several vegan varieties of candy, including their Halloween organic fruity bears that come in treat-size packs! You can find these at Target and other grocery stores. 6.) Lucy's Chocolate Chip Cookies - These come in handy snack-and-go packs that are perfect for trick or treaters (or for a great sweet to pack in your lunch!). They are also kosher certified, vegan, and gluten free, and do not contain peanuts, tree nuts, milk, or eggs. 7.) 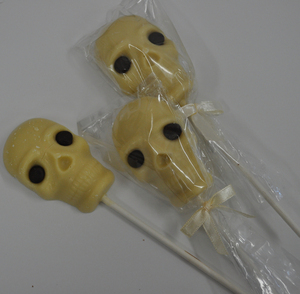 Sjaak's Organic Chocolate - Not only do they have white chocolate chocolate skulls, but they also have bite-sized chocolates in various flavors (including pumpkin spice!) that can be ordered in tubs online. All of their candies are magic and taste so good! 8.) 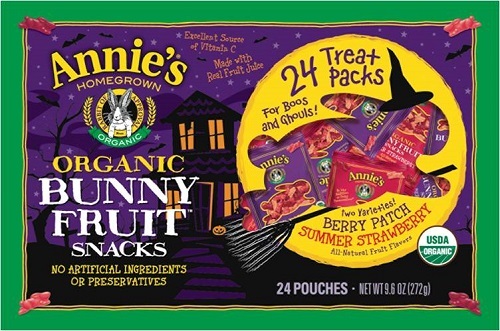 Annie's Halloween Fruit Snacks - I love these fruit snacks in their cute Halloween packaging! They make the greatest healthy treats to pass out to kids. 9.) 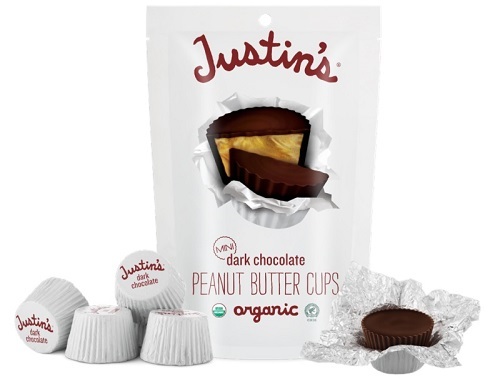 Justin's Dark Chocolate Mini Peanut Butter Cups - These are seriously addicting! 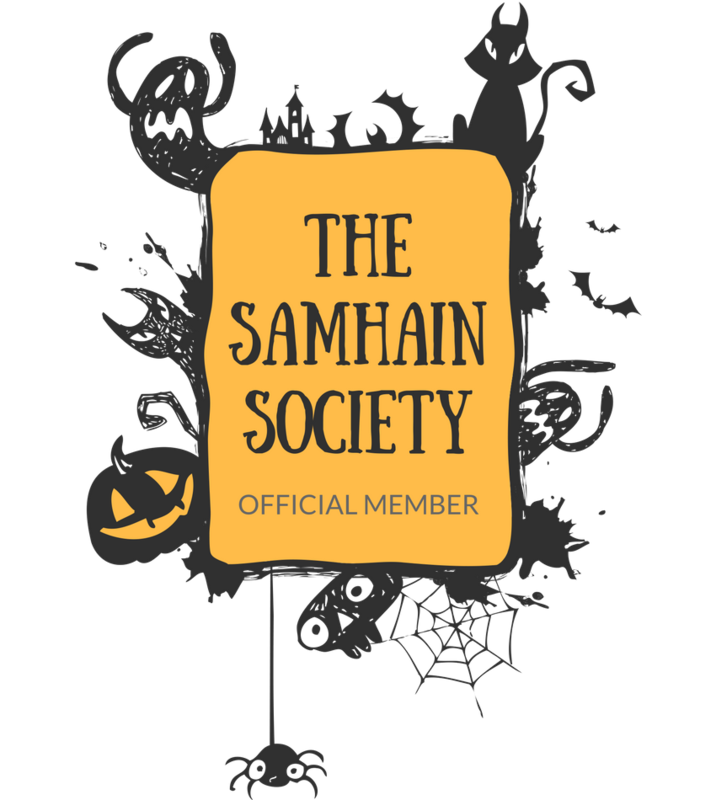 Get extras so you have some for yourself as well as your guests this Halloween! 10.) 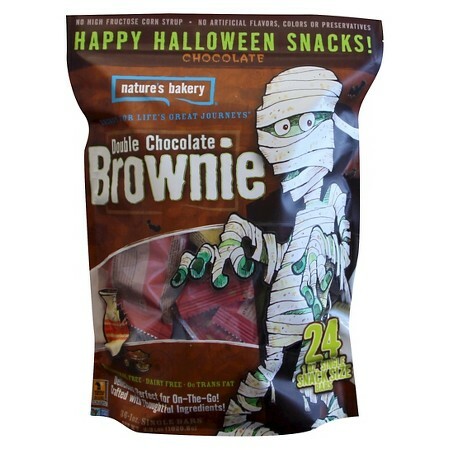 Nature's Bakery Halloween Double Chocolate Brownies - YUM! I haven't tried these yet but I love other products by Nature's Bakery! 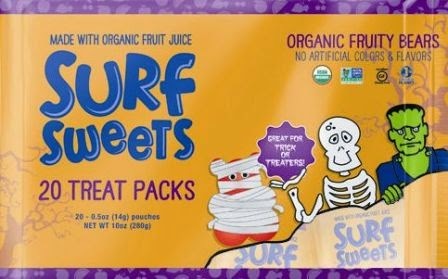 These are available at Target and come as handy individually wrapped treats perfect for trick or treaters or a late-night snack! There are lots of other vegan options, too! 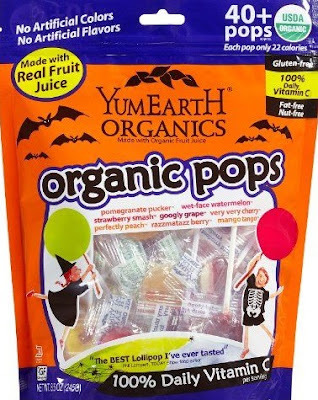 There are many varieties of organic and vegan candy available at Target (check out my post covering these HERE! ), plus there is accidentally vegan candy like Twizzlers, Sour Patch Kids, Smarties, Swedish Fish, and so on (I posted about some of these a few years ago HERE and HERE). You could also hand out packs of pretzels, chips, popcorn, or mini Oreos (most Oreos are actually vegan, with the exception of a few varieties that contain confectioner's glaze)! 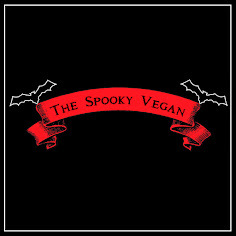 What vegan treats are you enjoying or handing out this Halloween season? My favorite "accidentally" vegan candy is Goldenberg's Peanut Chews. I'm probably spelling it wrong, but I was so psyched when I learned from a PETA brochure that they were vegan. Loves.